I've only had a little while to work with the new Logos 5, but it looks to be a very nice upgrade. I've been a long-time user of Logos, so this review primarily reflects what someone who is now using Logos 4 will discover in the new version. I upgraded from a 4.6 version of Logos 4, and I have the Scholars Gold library. The installation of Logos 5 replaces Logos4, and there is no loss of resources or any personal resources or customizations. (There were some issues in moving from Logos3 to Logos4 that allowed you—and for some users this was almost necessary—to run parallel versions of the program. No need for this in moving from 4 to 5.) As a pre-release, I had about 3 different updates to the program totaling over 1GB. Your total will probably vary depending on the library you have or upgrade to. The installation executed without any problems. I did have one instance where the program was not responding, but it recovered without incident. BTW, I am working with Win7 Home Premium on a quad-core system with 12GB of RAM. The program is installed on a SSD, so this is a pretty fast system. Even the updated indexing only took minutes (as compared to hours on my old WinXP system). In the top menu bar, "Documents" has replaced "Files," and a "Bibliography" tool has been added to the submenu. This tool has been available before, but it is much more accessible and easier to use in Logos5. Under "Guides," there is now a handy "open / find" option with a list of recently used guides. As you are reading a text in Logos, you will see some new icons appearing inline. One looks like a little megaphone that is a "Speaker Label" indicating who is speaking when there is direct discourse in the text. Clicking on the icon will open up a Bible Facts window with a whole host of related resources about that person. These have all been hand coded, since, for example, in Mark 1:2, links are made to both sources of the quotation, Isaiah and Malachi. (I did note a number of instances where the coding seems to be incorrect. E.g. in Mark 1:3, a link is attempting to be made to "Voice," but it does not work. In Mark 2:7 and 16 a non-functioning link is intended for "Scribe.") As usual with Logos, these speaker labels can be easily toggled on/off. Another new icon you encounter in the text, most often in reference works, is when there is a date listed. There will be a little flag by the date, and clicking on it will bring you to one of the more impressive new features in Logos 5, the Timeline. The Timeline is a bit overwhelming due to the vast amount of information included on it. You can change its appearance with eight different themes, and you can quickly apply a biblical filter to thin out events if that is your focus. With all events showing, however, it is easy to become lost in 8096 events listed from pre-history until the most recent ones I could see for 2004: "Jehovah's Witnesses have 6 million members" and "The Life and Death of Anne Boleyn by Eric Ives is..." Most of the events listed have some bearing on biblical or church history, and most of those appear to have been linked to the Logos resource, The Complete Book of When and Where in the Bible and Throughout History which was published in 2005, but that book also includes quite a bit of other secular dates as well. Many of the events link to a Logos article or book, but some are unlinked and remain cryptic. (1st c. AD: Jewish settlement at Elephantine is influential in..." That's the entire listing, and there is no link to the rest of the sentence.) With respect to disputed biblical dates—e.g., dates of many figures in the OT or when a NT book was written—there are some instances where early and late dates are noted, but you won't want to use this timeline as the definitive guide. In any case, the list is somewhat eccentric but makes for an interesting survey. Fortunately, it is possible to filter the list in other ways beyond biblical or not. You can enter a specific date range or choose from a drop-down list of various eras. You can also apply a specific filter and get only events with that term. E.g., using "roman" as a filter results in 117 events. You can expand or contract your view, and once you have displayed what you want, a mouse right-click lets you copy it, save it, print it, or send it to PowerPoint. As you can see, I have some criticisms of this new Timeline, but it is of value and certainly has potential. I would think more filters would help. (For a sense of just how much is in the Timeline: The timeline can be zoomed in/out, but at a readable size, from year 0 to the present takes up about 42 horizontal screens and 10 vertical ones on my 21" monitor!) Do note that clearer and more focused timelines are included in the Faithlife Study Bible Infographics. BTW, it also does not appear that all those user-created timelines from Logos3 which couldn't be opened in Logos4 still are not in Logos5. A compiler had been promised. As noted above a couple other new tools are introduced in the menus. Here I'm quoting from the Logos promotional material. Get instant information on any biblical person, place, thing, or event. When you come across an unfamiliar person or word, Bible Facts gets you up to speed. Brainstorm sermon ideas in seconds. Type in a passage or topic and get a smart list of related Scriptures, commentaries, outline suggestions, sermon illustrations, and visual aids. The amount of resources in Logos can be overwhelming, but these three tools are efforts at helping the user find appropriate information. As noted in the description, they each return slightly different results geared to their respective focus, but there is overlap and linking between them. They also make it easy to export your findings to MS Word or PowerPoint, OpenOffice, Proclaim, and elsewhere. As an example of how things work, looking for "crucifixion" in a Bible Facts window suggests six topics related to passages in the Bible that talk about crucifixion and one to "crucifixion spear." Typing "crucifixion" in the Topic Guide window goes straight to crucifixion and provides links appropriate to the task of trying to learn more about this particular topic. e As you can see, these tools are ways of sorting out information in your Logos resources, organizing them according to your task, and making it easy to jump to the resource for further work. So far I've provided many good excuses for upgrading to Logos 5 from Logos 4, but most of the things I've described are already in Logos 4. What's happened here in version 5 is simply that all those bits of information that you want that are buried in all your resources have been made much more accessible and easier to use. In many instances you just start typing, and Logos will provide suggestions to get you where you want to go. It's all very helpful. 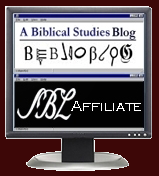 In part 2 of this review, however, I will provide reasons for upgrading to Logos5.